Cards and condolences will be accepted at the Lake County Sheriff’s Office at 1220 Martin Street, Lakeport, CA 95453. For those wanting to make a donation to assist the Rumfelt family during this tragic time, a “Deputy Rob Rumfelt Memorial Fund” account has been opened at Umpqua Bank located at 805 11th Street in Lakeport. On August 22, 2017, at approximately 7:55pm, Lakeport Police units were dispatched to the 900 block of Boggs Lane in Lakeport for a report of 4-5 subjects physically fighting. Units from the Lake County Sheriff’s Office arrived on scene within five minutes. Sheriff’s deputies observed a bloody subject run into the nearby woods and searched the area locating the male subject who was later identified as Alex Michael Castillo, 21, of Nice. The deputies attempted to take Castillo in to custody, but he physically resisted. Deputies deployed a taser and were able to place Castillo under arrest. Castillo was arrested for a domestic violence incident that was related to the original call. Castillo also had an outstanding warrant for his arrest for failing to appear in court related to a domestic violence charge. Shortly after police and sheriff’s units cleared the scene, a Lake County Sheriff’s Department patrol unit driven by Deputy Robert “Rob” Rumfelt struck a tree on Hartley Road north of 20th Street. Deputy Rumfelt was part of the team who apprehended Castillo. Lakeport Fire Department paramedics responded and began life saving measures. Deputy Rumfelt was transported to Sutter Lakeside Hospital, where despite every effort by medical personnel, he succumbed to his injuries. It is believed he suffered a medical emergency while driving, just prior to the crash. 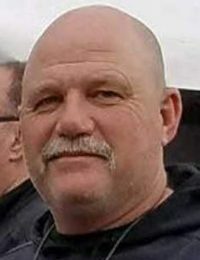 Deputy Rob Rumfelt, age 50, was a lifelong resident of Lake County. He started his law enforcement career as a police officer with the Lakeport Police Department in 1997. He left the police department in 2006 to work as a private contractor overseas conducting law enforcement training. Deputy Rumfelt returned to Lake County and was hired as a Deputy Sheriff with the Lake County Sheriff’s Office in 2014. Rob was a Firearms Instructor, FTO, and mentor to many newer deputies with the Sheriff’s Office. He was also active in the community as an assistant football coach at Clear Lake High School. He is survived by his wife, Kelly; daughters, Brittany and Nicole; sister, Amy; parents Leslie and Robert “Bob” Rumfelt, mother Juanita Dixon.